When I first visited Pompeii in 2009, I was a keen tourist who wanted to see as many famous places as possible just so I could say I have been there. However, my perspective on travelling dramatically changed in 2013 when I visited Venice for the second time. Since then, I promised myself to be more of a traveller and less of a tourist. I wanted to be that traveller who actually immerses herself in culture and develops a deep connection with herself and the places she goes to. I wanted to travel in a sense that I will still do "touristy" things and take photos of famous landmarks and all, but also make an extra effort to take the roads that are less travelled and take photographs of places that have not been photographed a thousand times before. 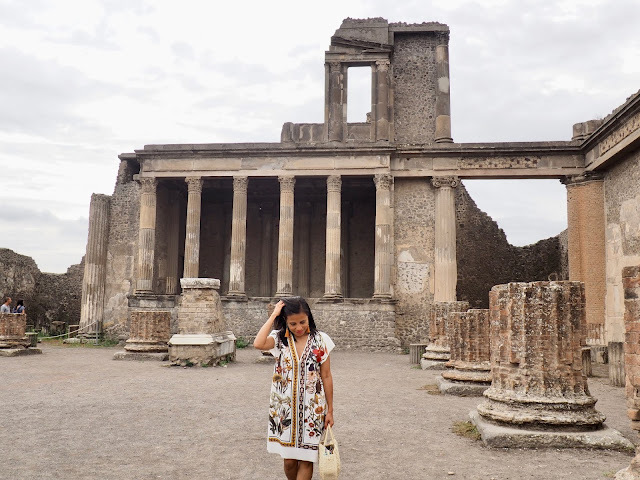 I am only saying this because when I went to Pompeii in August, I was actually able to explore the historic place and truly experienced it, unlike the first time I went there. Pompeii is located near Naples in Southern Italy. As we were staying in Praiano, we took the SITA Bus to Sorrento for €2.40. From Sorrento, we took the Circumvesuviana train to Pompei Scavi- Villa dei Misteri. The fare was cheap at €2.40, but if we knew earlier, we would rather have taken the fast train. Although it wasn't really that bad because it took us less than half an hour to get there. We arrived at the archeological site around midday, and although it is apparently always busy, it only took me 10 minutes to get our tickets. The entrance fee was £15 per person. 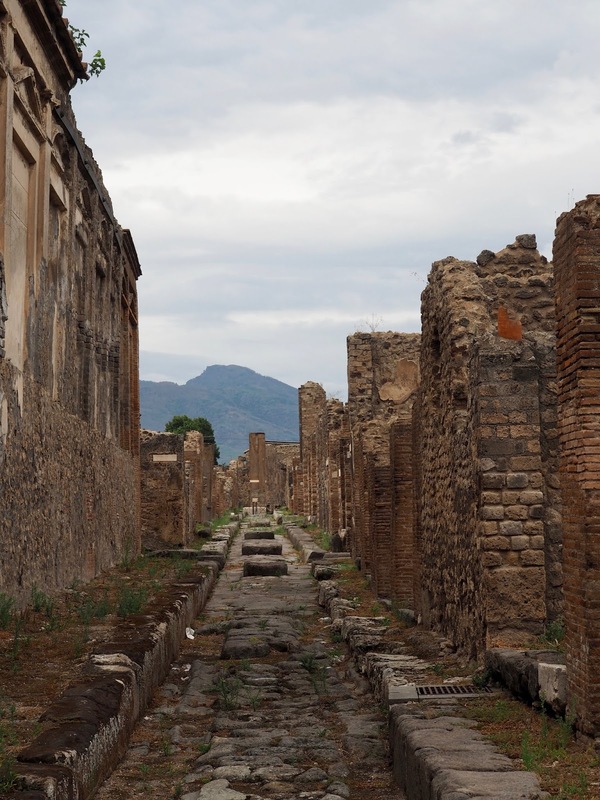 From the Porta Marina entrance of the archeological site, we walked towards the ruins on paved streets. 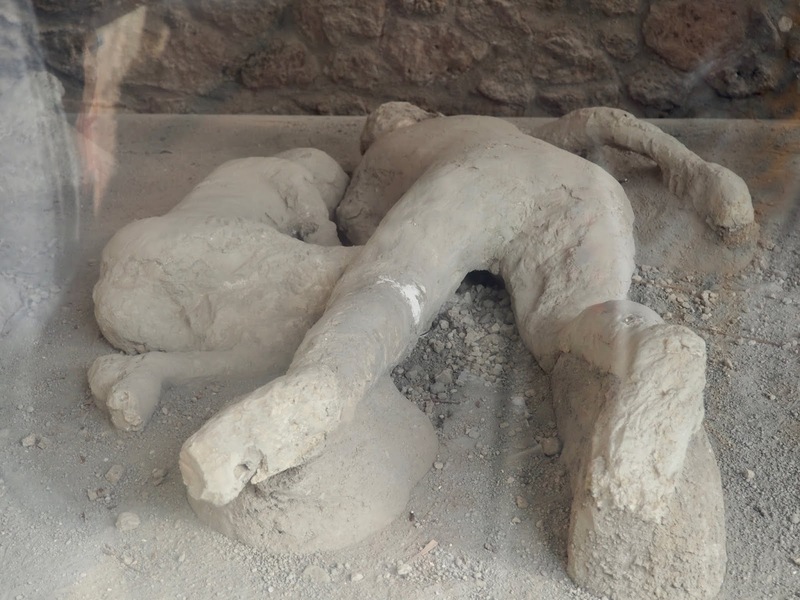 I couldn't believe I was actually back in Pompeii, one of the most fascinating places I have ever been to. 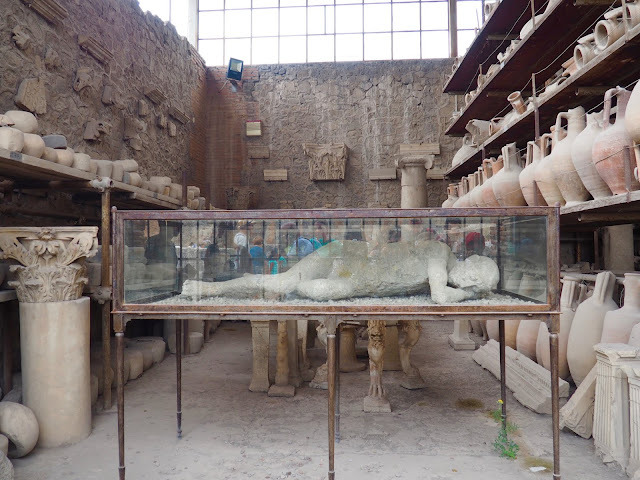 I remembered the Forum, which was the main city centre of ancient Pompeii. 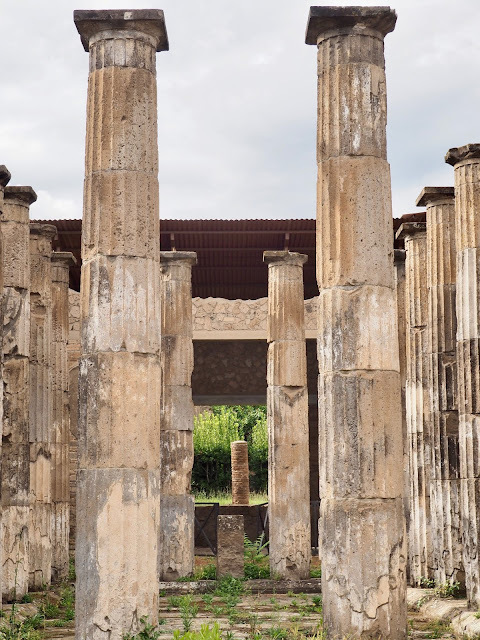 Towering behind the Temple of Jupiter is Mount Vesuvius, the giant volcano responsible for the demise of 2,000 men, women and children, when it erupted unexpectedly in 79 AD. 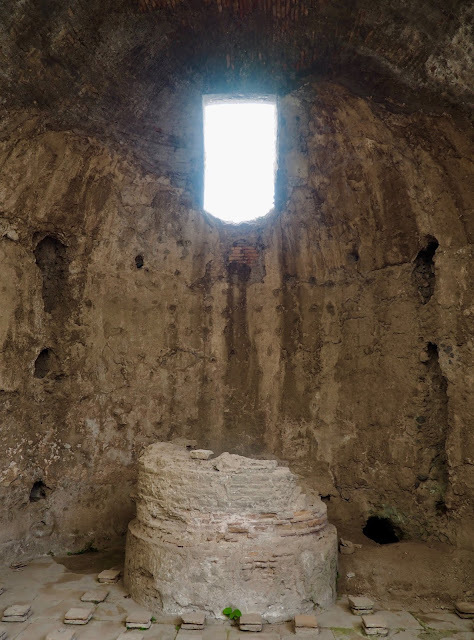 Excavation didn't commence until the 18th century and now, the 44 hectares of excavated ruins provide a glimpse of how life might have been during the ancient Roman civilisation. The Forum Granary was impressive the first time I saw it and still was the second time around. All the 9000 artefacts that are kept in here will give you a hint of the day to day life of the people back then. The massive jars are always fascinating to look at. 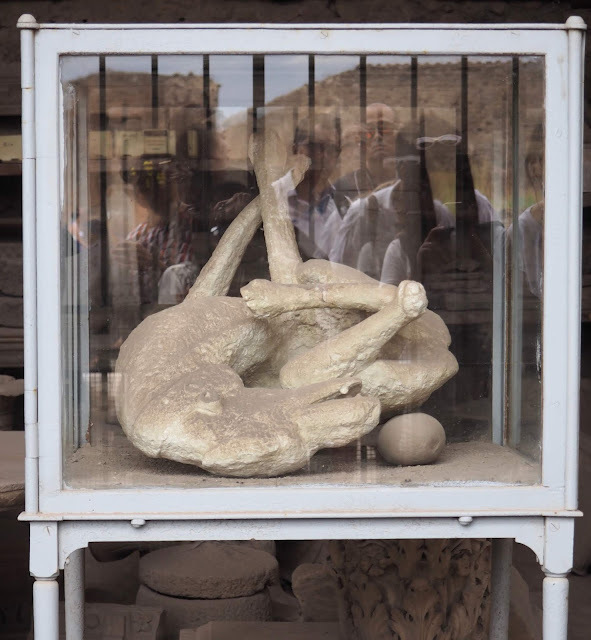 Some of the body casts are also found in the Forum Granary. As we walked through Via dell'Abbondanza, the main street in Pompeii, my imagination was ignited. 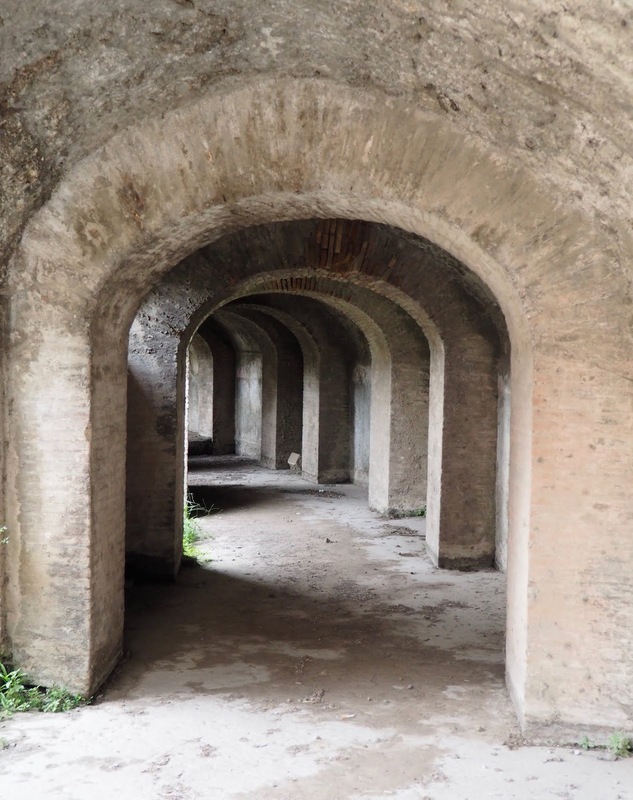 The ruins of the private houses, the brothels and other business establishments were mesmerising. Every villa I walked into, I imagined the set-up: where the living room and the kitchen were, how many bedrooms there were. I stopped and allowed myself to be transported back to about 2,000 years ago. Some of the houses have colourful wall paintings, beautiful columns and massive gardens. Then there were the narrow streets that were ghostly, but beautiful nonetheless. And whilst J was enjoying the tour, Farrah and I wandered around freely. I took this opportunity to find little treasures that may not mean anything to some but somehow gave me a different , if not unique perspective. Then we moved on and followed J's group to the Grand Theatre, which was built in 2nd century BC. The theatre has been used a few times during the modern times, 2014 being the most recent one when Puccini's La Boheme was staged here. It was easy to get lost in history. As the evening grew closer, we decided to make our way back. However,J wanted to see one last thing- the Amphitheatre. The Amphitheatre is apparently the oldest surviving Roman Amphitheatre. And just like the Grand theatre, the Amphitheatre has also been used in the modern times. Pink Floyd had a concert there in 1971, and again in 2016, their guitarist performed there. On our way to the Amphitheatre, we passed by the Garden of the Fugitives. Once an orchard, it is now where thirteen body casts lie. We spent the whole afternoon in Pompeii and although this was my second time at the UNESCO World Heritage Site, I still have not seen everything yet. This archeological site is extensive, so it probably takes a whole day to see all of it. I really wouldn't mind to go back again one day. 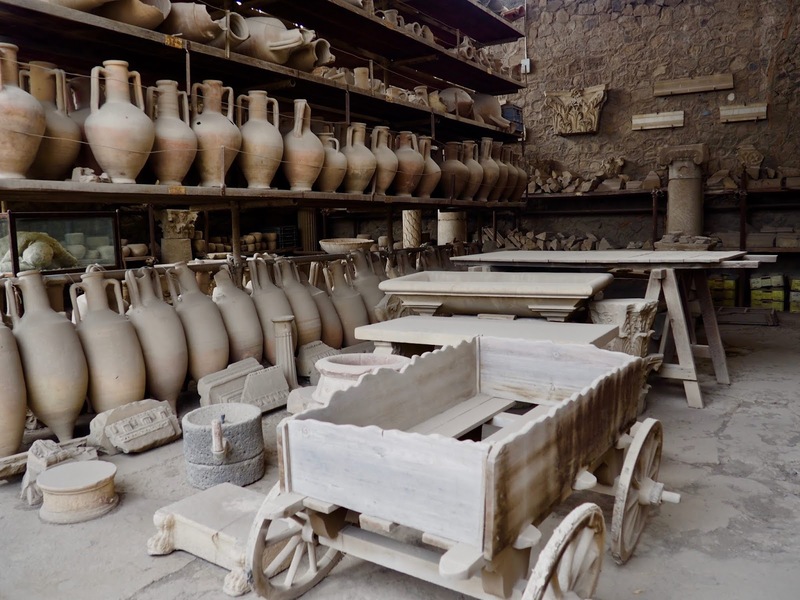 After all, Pompeii is one of those places that is worth visiting, over and over again. 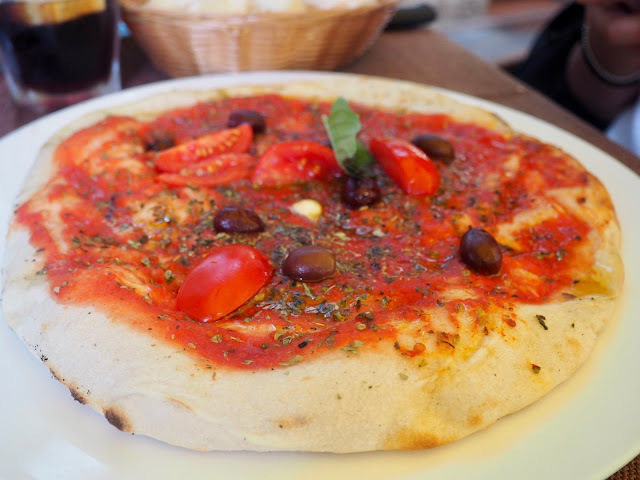 - Located just across the Porta Marina entrance of Pompeii, the restaurant was undeniably touristy but we had a very good experience there. As busy as it was, we were seated immediately and our food came very quickly. We ordered the Hortus and Napoletana which didn't disappoint.